Owning a Jeep is pretty fun. It has a rugged tough-guy look, a loud engine, the ability to take the top off, and it gets the occasional "nice Jeep" compliment. It's also really convenient: we can remove the back seat, pull a small trailer, and park in small spots. Pretty much the only thing that isn't awesome about a Jeep is the gas milage (~20 miles/gal). Thankfully, we also own a Prius which we use for the longer hauls (this last tank was 53.2 miles/gal!). That's made the Jeep more a "work" vehicle, and one we don't put a ton of miles on anymore. An honor bestowed upon those drivers with the superior intelligence, taste, class, and discomfort tolerance to own the ultimate vehicle - the Jeep. Generally consists of either a raised hand waving or 4 fingers extended upward from the steering wheel, but may be modified to suit circumstances and locally accepted etiquette. All Jeepers are responsible for upholding the tradition of the Wave. 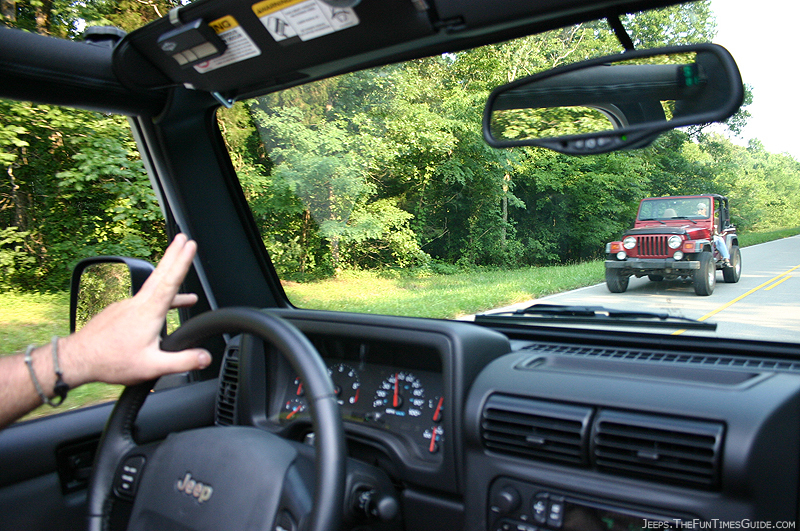 It seems that generally the Jeep wave is only practiced by Jeep owners driving the following Jeep vehicles; CJ, YJ, TJ, JK. All Jeepers are required to return the Wave even if it's a Grand Cherokee or Compass. Do not EVER wave to Hummers, even if you know the person. So there you go. Now, at this point you might think I'm joking. I'm not. Just yesterday (the inspiration behind actually researching this) I had FIVE Jeeps pass me. ALL FIVE waved to me. I, of course, waved back. The Jeep Wave is alive and well in Oregon. Brisbane there are lots of wonderful places to get your offroad and sandy.